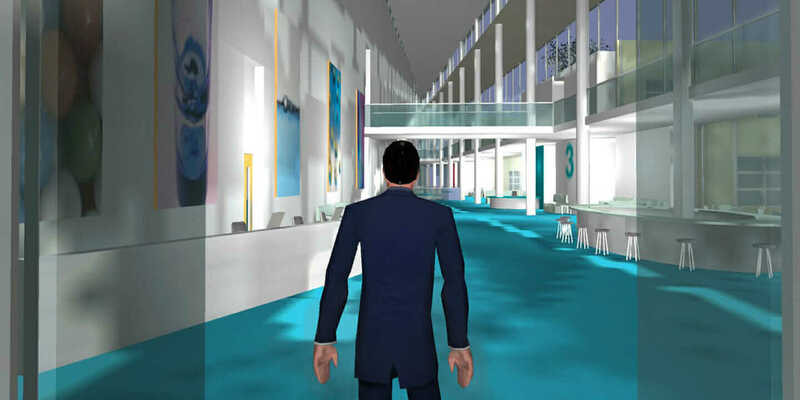 A real-time synthetic environments screen grab of the reception area at St Helens and Knowsley Teaching Hospitals NHS Trust in St Helens, England. Courtesy Arup. Evaluating the user performance of a particular building design is obviously a good way for clients and architects to gauge whether their design was successful—or could have been better. There’s even an entire academic discipline called post-occupancy evaluation (POE) devoted to this concept, and Arup is tapping into it with a network of 22 industry partners using the Building Use Studies (BUS) methodology. Too few designers tap into POE, but with gamified simulations done before projects are built, that could change. Admiralty station screen capture. Courtesy Arup. Two reasons why POE isn’t a regular practice in architecture is because fees are often not built into projects for Post Occupancy work, and there is some reluctance from the industry to engage. POE has to take place when a building is, well, occupied. And studying the effectiveness of intensively used buildings like stations, airports, or hospitals can be difficult in terms of engaging numerous users who are going about their daily business. “It’s sometimes a challenge,” Simondetti says. And there’s at least one more factor—a psychological one that tends to suppress wider use of POE: The process can be perceived as being about detecting design mistakes when its intention is really to evaluate the positive attributes of a facility and optimize operations for a better building. Simondetti is leading a movement that directly confronts these frustrating challenges by pioneering an evaluation discipline he cheerfully (and somewhat oxymoronically) calls post-occupancy evaluation preconstruction (POEPC). Three-monitor wide screen capture of the Admiralty station environment. Courtesy Arup. One POEPC project he led was the expansion of Hong Kong’s Admiralty railroad station, the city’s busiest stop. Arup was hired to design two more train lines in Admiralty, which doubled the number of train platforms and increased the number of possible journeys to more than 50. Simondetti used 3D-design models of the station and an architectural video-game engine to create a realistic station environment complete with contextual sounds, accurate signage and visual cues, and hordes of avatars milling about to simulate crowded conditions. He then installed a system that allowed users to “joystick” an avatar through the station. 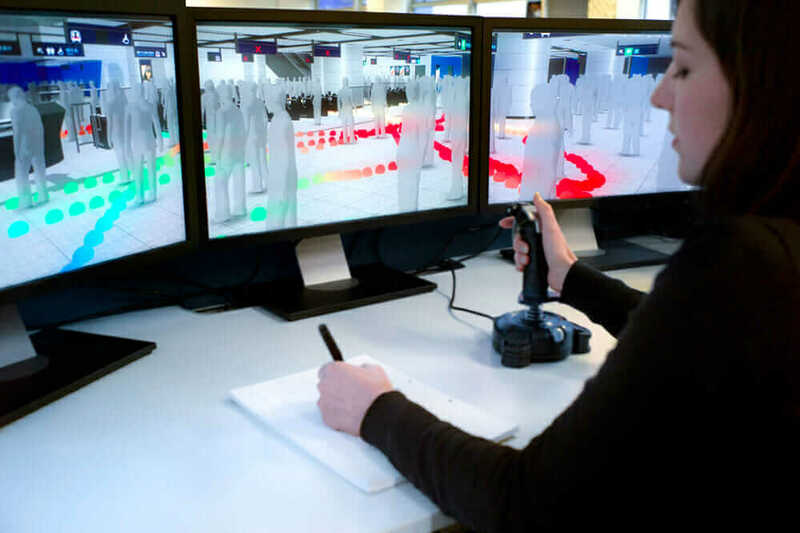 The experience simulates walking, with head-height visual feedback projected on three monitors that fill the user’s peripheral vision. In this case, Arup was evaluating proposed signage and wayfinding schemes—an important thing to test in a station already serving one million passengers daily. By asking users to navigate from point to point through the modeled station and measuring their speed as they passed various digital checkpoints, Simondetti was able to gather crucial information on how well proposed wayfinding structure worked in actual conditions. Thus, he was doing post-occupancy evaluation in an accurately modeled environment in the preconstruction phase, before any signage was physically installed. A designer explores crowd-sourced design feedback of the Admiralty station gathered from a public-exhibition wayfinding session. Courtesy Arup. This way, Arup was able to crowdsource the wayfinding-design process, and the virtual testing and analysis returned extremely practical results. For example, testing by hundreds of users revealed a persistent bottleneck at the bottom of one four-story escalator. Ultimately, Simondetti’s use of this real-time synthetic environment identified 235 potential problems with the 970 proposed new signs. The projected efficiency gains are hard to quantify, but the POEPC process certainly saved Hong Kong commuters hundreds of thousands of hours of confusion. Here, design models and the gaming engine were again used to create a highly realistic hospital environment. But instead of random users, the joystick was turned over to the experts who would be actually working in the new hospital. One notable breakthrough came when nurses were asked to “use” a proposed surgical theater. 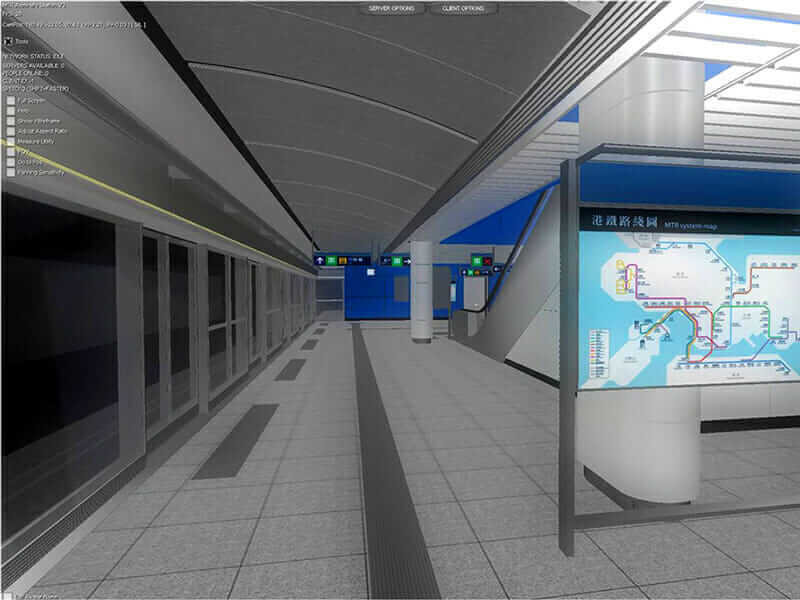 A wayfinding session of the Admiralty station environment at a public exhibition. Courtesy Arup. POEPC continues to evolve as a discipline. 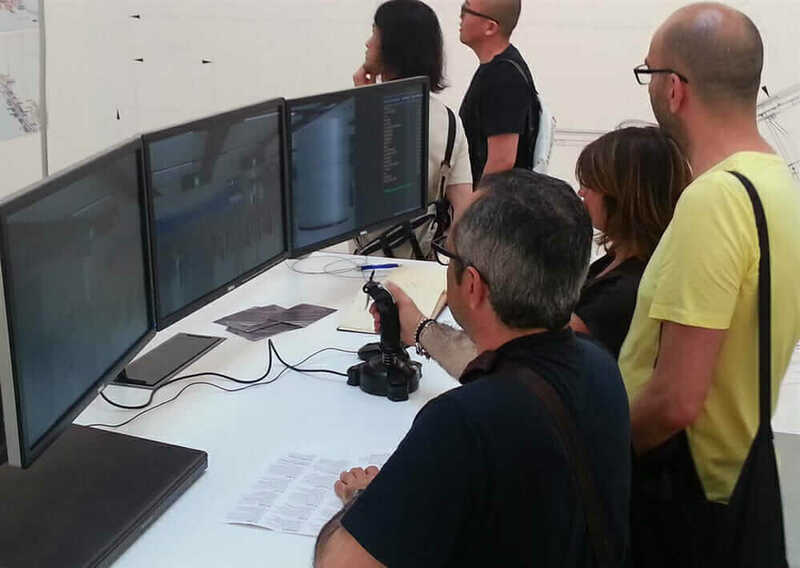 Simondetti has already tested variations to the process: networking multiple users, equipment-interface design (for things like elevator panels), A/B testing (performance evaluation of multiple designs), and introducing sounds and other feedback triggered by specific user actions. Currently, Simondetti’s team is working on new wayfinding projects that are going through RFP. But even with initial versions of the technology, results are literally game-changing—no more bottlenecks of people at the end of escalators or nurses running down the hall at breakneck speed to the bathroom.